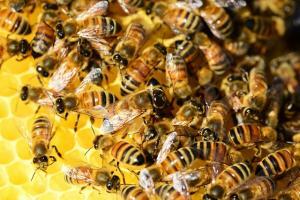 A car mechanic in Peterborough has found himself trapped inside of a car after it was surrounded by a swarm of bees. Sean Reddington works as an MOT tester for a car garage in the area. He was taking a vehicle for a drive when the insects swarmed around his car - he was unable to move and had to close the air vents to stop the bees entering the car. Car mechanics will have to drive customers' cars on a daily basis, whether to move them around the garage or taking them on test drives to ensure everything is working as it should. To do so, mechanics will require a road risks insurance policy, which will provide financial protection for the car while it is being driven around, although not necessarily against a bee attack. According to the BBC, Mr Reddington's run in with the bees was not a unique experience; Woodston Ponds nature reserve, also in Peterborough had to be closed because of a swarm of bees. It is not yet known if the two incidents are related. Mr Reddington, commented: "At first there were just a couple of bees, then suddenly there were thousands. "I made sure the car's air vents were closed. I don't mind bees - just not that many bees." The British Beekeepers Association has said that bee swarms, which contain as many as 20,000 of the insects, are not dangerous unless disturbed or aggravated.